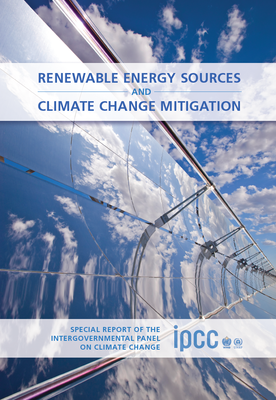 IPCC, 2011: IPCC Spe­cial Report on Renew­able Energy Sources and Cli­mate Change Mit­i­ga­tion. Pre­pared by Work­ing Group III of the Inter­gov­ern­men­tal Panel on Cli­mate Change [O. Eden­hofer, R. Pichs-​​Madruga, Y. Sokona, K. Sey­both, P. Matschoss, S. Kad­ner, T. Zwickel, P. Eick­e­meier, G. Hansen, S. Schlömer, C. von Ste­chow (eds)]. Cam­bridge Uni­ver­sity Press, Cam­bridge, United King­dom and New York, NY, USA, 1075 pp. © 2019 Renewable & Appropriate Energy Laboratory. All rights reserved. © 2015 Renewable & Appropriate Energy Laboratory. All rights reserved.